When you have a bad toothache you want fast pain relief. When the pain hits, most people grab whatever they have available to them to accomplish pain relief. Often pain relief comes in the form of over-the-counter medication, however, there are some ordinary household foods, numbing gels, and rinses that can also be used to help you get the pain relief you desire. The next time that you feel the awful pain of a toothache try some of these options below. Numbing gels that can be used to resolve tooth pain contain a low dose of local topical anesthetics like Lidocaine or Benzocaine. This type of topical medication works to block nerve pain signals in the area where the pain is being experienced. Once you’ve applied the gel to the source of the pain you should only feel a numbing sensation. If topical anesthetic medication does not work to numb your pain then it is likely that your pain is associated with a more severe issue. Tooth pain that is overly unbearable is often a sign of an infection in the tooth’s root. To remedy a tooth root infection you must see a dentist who will conduct an examination to discover the source of the problem. Schedule an appointment with Dr. Mjahed at our Monroe Dental practice as soon as possible. 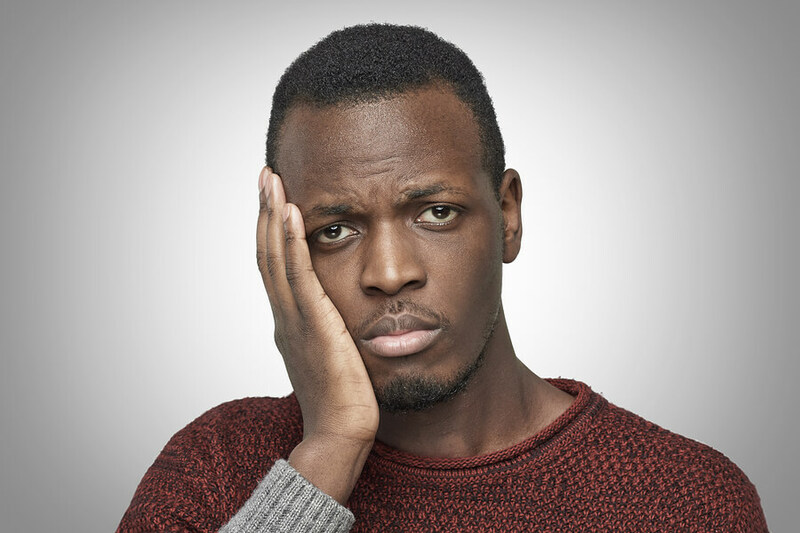 Even if your toothache is due to infection, you may find that an over-the-counter pain reliever like Ibuprofen will help alleviate some of the pain. Ibuprofen is also an anti-inflammatory, so although it is not strong enough to heal a tooth infection, this NSAID pain reliever may help minimize the spread of the infection while you wait for an appointment. The longer you wait to seek treatment, the more unbearable the pain may become as the infection worsens. A mixture of salt and water is an easy solution for those who are experiencing minor tooth pain. This method may not work well long-term for those who have an existing tooth infection. If you have an abscess, salt water can help draw the fluid out of the infected area. Allowing the fluid to be released will help to ease some of the pressure on the tissue which is the primary source of the pain. Your salt water rinse should be ½ teaspoon to 8oz of water. For relief, swish the solution around your mouth with a focus on the area where the pain is being experienced. Complete the whole cup of solution. This method of tooth pain relief has been used and promoted in Asia for generations. The application of clove oil is a natural way to relieve pain associated with a really bad toothache in cases where even infection exists. Eugenol is the active chemical found in clove oil that makes it the perfect solution for tooth pain relief. This active ingredient has been used in root canal therapy, periodontal therapy and to treat pain from tooth abscesses. You can find clove oil at most pharmacies and if you don’t’ see it on the shelf check with the pharmacist to see if they can order a bottle or two for you. To apply clove oil to the affected area you should dip a cotton ball or q-tip into the bottle and rub the affected area with the dampened cotton. You can also add a few drops to your toothbrush and gently brush the tooth that is causing the pain. A tube of dentemp is going to cost anywhere between $5 – $10 at your local pharmacy and online. This is a small price to pay for tooth pain relief that lasts. Dentemp is typically used when you have a filling that has managed to become dislodged. It works as a temporary filling to cover the hole. Follow the instruction on the package. If your tooth pain is stemming from excessive bacteria in the oral cavity then chewing on a garlic clove will help kill existing bacteria. Garlic is made up of a natural antibacterial agent called allicin. Curcumin is the active ingredient in this all natural solution to tooth pain. Tumeric has many antiseptic, analgesic and antibacterial properties. Apply a small amount to your toothbrush and use it to brush in the area where the pain is being experienced. The application of raw onion is exactly the same as the application for the garlic method. Chew the onion in the area of the mouth, if possible, where the pain exists. Onions help to kill bacteria in the mouth that could be causing the tooth pain. The best way to remedy a toothache is to discover the cause. You can do this with the help of our dentist in Monroe NC. Call us or request an appointment online to set up an appointment. You may find that even after using these very effective solutions to tooth pain that some pain still exists. If so, seek treatment as soon as possible because this is a strong sign of an infection. Tooth infections will not go away on their own and may even worsen as time goes by. When you have a bad toothache the only thing you can seem to focus on is how to make it stop. Toothaches may occur as a result of deep set cavities, infections or food particles becoming lodged in or between the teeth. Below you will find some solutions for achieving pain relief.